Wonder if anyone even uses brochures anymore? In fact, new research conducted by the Center for Marketing Technology at Bentley University confirms that brochures are the #1 in-market influence on visitors’ decision making process. What’s more, the influence of brochures from a display stand (69%) has edged ahead of web sites (68%) when a tourist arrives at their destination. Every brochure represents a potential customer—and delivers qualified leads at a cost no other vertical can provide. Instantly connect with visitors through Digital Engagement. 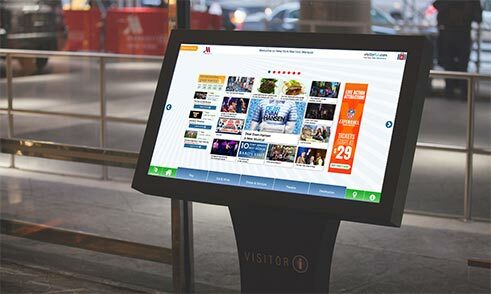 CTM’s VisitorFun ExploreBoards are selectively placed in high-traffic tourist locations including attractions, visitor centers, airports, retail destinations and hotel lobbies with over 400 premier hotel locations including Hilton, Marriott, Crowne Plaza and Grand Hyatt. ExploreBoards drive your brands awareness, connecting visitors with tourism information by letting them explore nearby attractions, access maps and directions, preview menus, brochures and videos, share content via email or text, and even book their tickets. Get yourself in front of local visitors. 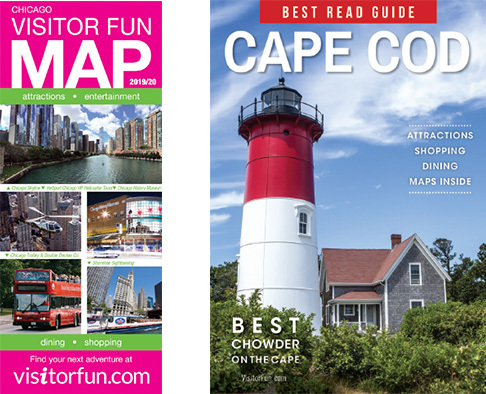 Maps & Guides are among the most popular resource of local information for visitors. 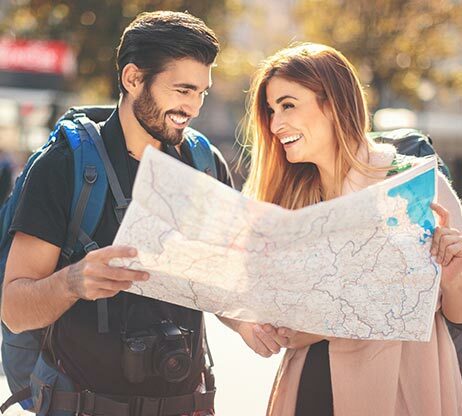 And as the exclusive publisher over 4 million annual visitor maps and guides among 40 tourism destinations, we have the ability to feature your business—right in your market, and right where visitors are looking. Learn more about local advertising opportunities. Looking to make a big impact on a small budget? 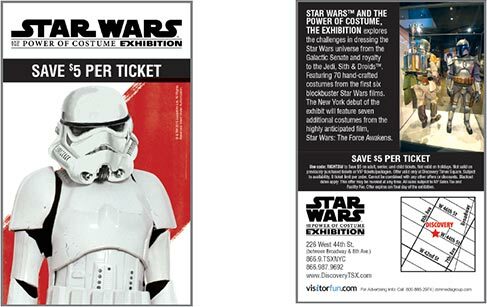 VisitorFun cards are a powerful, low-cost marketing tool designed to proactively drive traffic through special promotional offers or value statements. CTM’s VisitorFun Card program provides an all-inclusive design, printing and distribution service. Easy to grab-and-go, these pocket-friendly cards provide access to information on local attrations, museums, tours, shops, restaurants and events with a clear call to action value statement, contact information and detailed location map sending visitors directly to your business. Get in front of visitors the moment they decide to make (or break) plans. 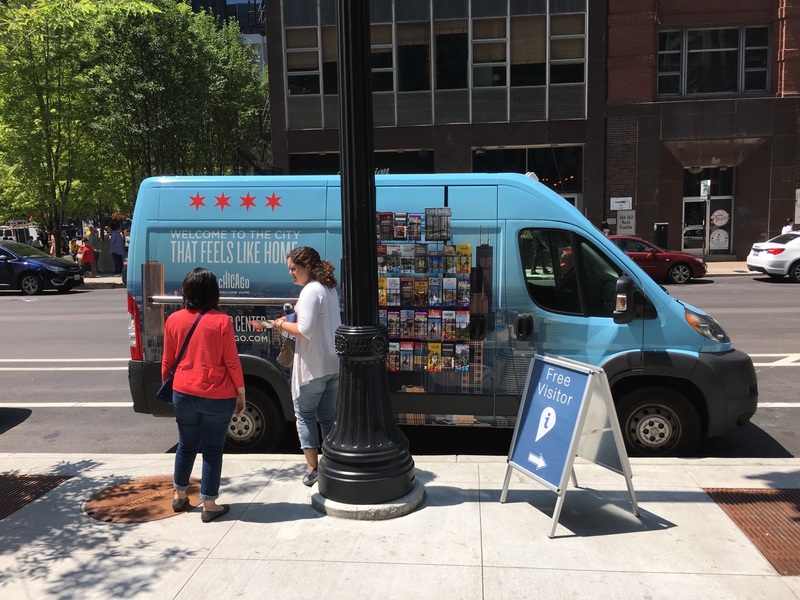 CTM’s outdoor information center frequents popular visitor locations in and around local tourism destinations and may include popular festivals, events, concerts and other outdoor venues. 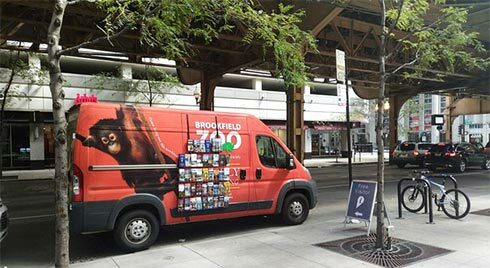 Most mobile information centers typically operate Saturday and Sunday for a 6-month period beginning in the late Spring – to early Fall. 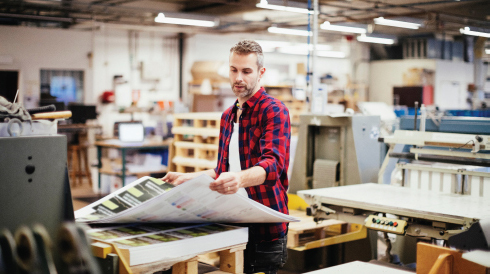 Need to print marketing collateral? We can help! Thanks to our consolidated buying power, CTM is able to pass along deep discounts on print expenses for your marketing collateral. 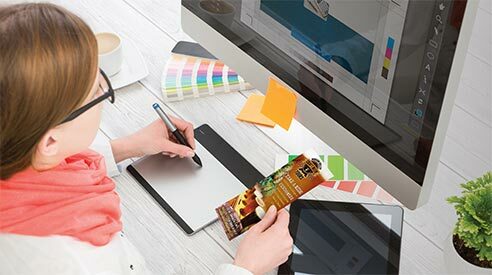 Let CTM’s in-house graphic design experts offer full service design to help you create your next brochure or marketing promotion, and can manage your design needs from start to finish. Whether you need a mutli-panel brochure, rack card, or publication, CTM has the experience to make your ad or publication come to life. Speak to a CTM Media Consultant today! The internet has profoundly shifted the way we plan and book trips—but one thing hasn’t changed: People’s penchant for making decisions in the moment. While visitors can access information 24/7, what matters most is that the opportunity they want is in front of them the moment they want it.